Q. I'm looking for advice on how to get an area of my garden back under control without using chemicals. I failed to keep up with the weeding in a section of my vegetable garden that is about fifteen by 30 feet. It had crabgrass, clover and a few other weeds that went to seed. I ripped them all out as best I could, but can't get all the roots out—and I can see that a lot of seed has scattered on the surface of the soil. I wonder if covering the area with impermeable black plastic until next May would kill everything? Or maybe it makes things worse by keeping the area warm enough for the weeds to survive the winter? A. Let's start with the black plastic idea. 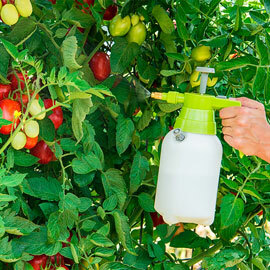 Her best bet now is to use a 'flame weeder'—a hand-held, propane-powered garden torch that shoots a small flame out the business end of a long shepherd's hook-like wand—to slowly toast one small section of the infested area at a time, preferably on a hot day when that soil is bone dry. It's much less work, you get to stay upright while you deactivate those weed seeds, and every little 'pop' you hear is an emotionally satisfying sign that you're doing it right. So--what about those roots still in the ground? In general, this is the best way to handle weeds of almost any size: wait until right after a heavy rain or soak the soil for hours—really saturate it—and then pull 'low and slow'; get down to where the plant meets the soil and pull slooowly and gently. That's how you get the roots out the first time. 'Angry yanking' may seem emotionally satisfying, but it doesn't get the job done. And it tends to be the panicked tactic of choice for large areas that seem insurmountable. Better to slow down and spread the job out over a week or so. An hour a day of doing it right in small area after small area gets rid of the weeds without you needing a corner man. Now: why did I say 'weeds of almost any size'? Because, as Kat discovered, yanking weeds that have already gone to seed spreads the seeds. 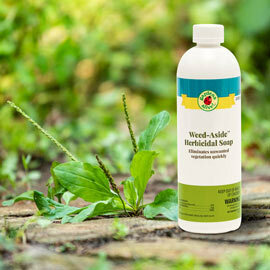 When weeds are seedy, don't pull right away. Instead use that flame weeder to incinerate the tops of the plants. Then run the flame up and down the sides of the plants; wherever you see seed pods. The torch will toast those seeds, and you can then pull out the plants without planting next year's crop of weeds. Bonus: Many weed seeds look like Munchkin fireworks when they pop! Anyway; next season, delay planting these areas until any missed weed seeds have germinated and been growing for two weeks. Then carefully and methodically slice them off at the soil line with a hoe that has a flat super-sharp blade, like a diamond hoe—creating what's known as a 'stale seed bed'. And whatever you do, don't till the soil; tilling plants weed seeds! Now—that would also put a lot of Nitrogen into the soil, so I would then use that area to grow a non-fruiting, but Nitrogen-hungry crop like sweet corn, field corn, popcorn, salad greens, potatoes, onions or other things I'm not thinking of right now. In addition, the way she describes this area, we have to assume that it's a flat earth garden; a design—or lack of design—that guarantees maximum weed woes. You get a lot more eatin' with a lot less weedin' from raised beds. Four by eight is the ideal size for each bed, with two-foot-wide walking lanes in between. Because you build the growing area up to a foot above the soil line, grassy weeds like the clover and crabgrass she specifically names can't migrate in from the outside. And you can just mow the actual lanes to keep their weeds under control—no pulling. And the cool air of fall is perfect for getting outside and doing some raised bed building! And if you build those beds now, they'll be ready to plants in the Spring. Hint; hint…. Final note: But if Kat does take the 'corn gluten meal followed by some kind of corn' advice, she should build those raised beds in other areas of her garden. Corn is one of the few crops that does better in flat earth than raised beds. Sounds like a plan!